In December 2016, the ASPCA assisted in the rescue of 155 dogs from a North Carolina dogfighting ring. The amount of dogs involved in this case was staggering, and for many of them, rehabilitation was a long and arduous journey. But there was never a lack of confidence that for many of these survivors, there was hope of better days on the horizon, and of loving families with open arms. Of these dogs, one in particular went through great lengths to find her way home from North Carolina, up to the Big Apple. Her name is Franny. After her rescue in North Carolina, Franny was understandably fearful. Given that her beginnings were marred with the violence of dogfighting, she’d had limited experience in the real world. At the time, she didn’t know what it meant to be a beloved pet. 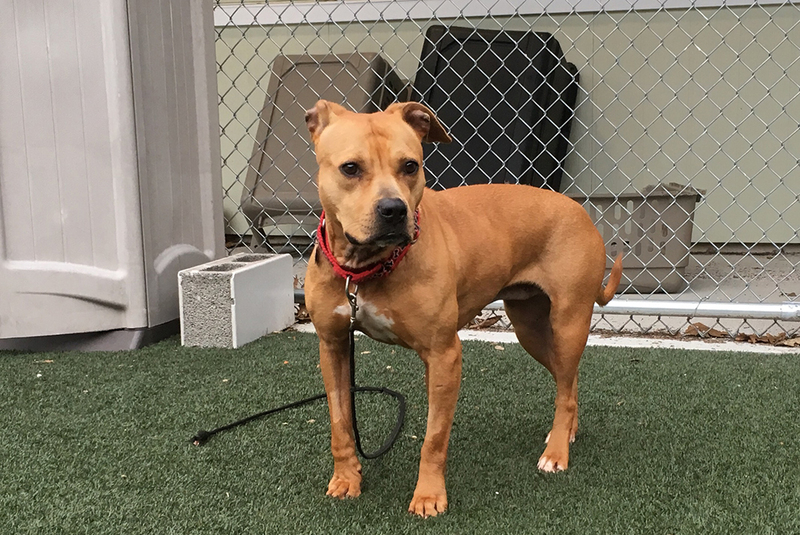 Given her state, it was decided that Franny, alongside a few other dogs from her case, would do best at the ASPCA Behavioral Rehabilitation Center (BRC), where she would be able to receive specialized training and care to help her learn that the outside world isn’t such a scary place. In her time at the BRC, Franny made immense progress and soon became an official graduate. 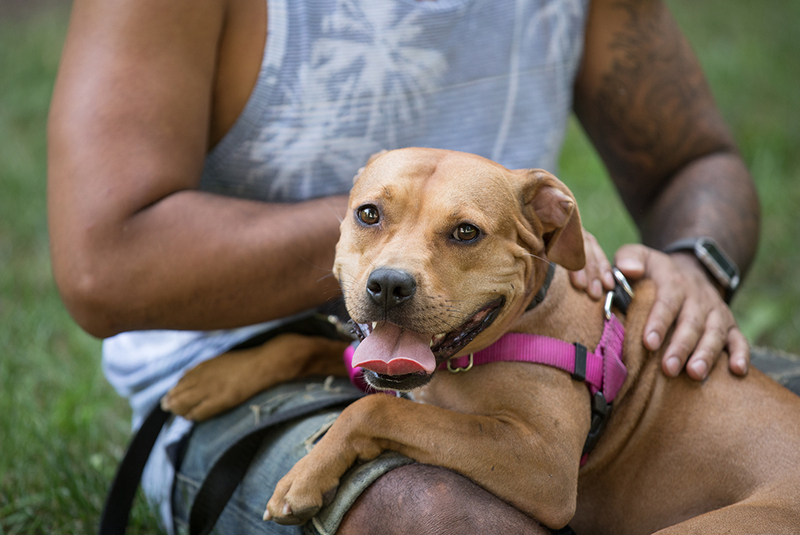 Though she was still shy around new people, it soon became clear to everyone that this former dogfighting victim was nothing but a sweetheart, with endless amounts of love to give. She just needed the right adopters to truly see her. 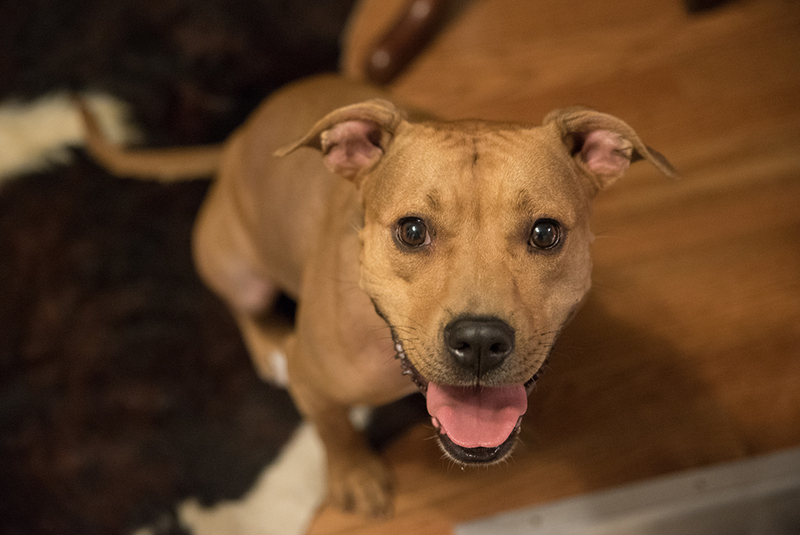 Once Franny graduated from the BRC, she went into a foster home through a partner rescue in Hoboken, New Jersey. 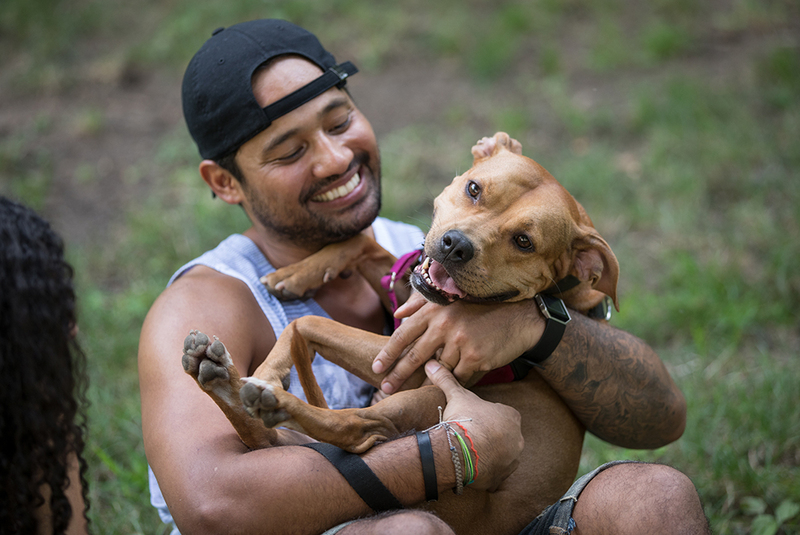 Franny’s foster saw the sweet dog blossom while she was in her care, and they soon discovered that Franny absolutely loved snuggling and giving kisses to her favorite people. She also loved spending time with other dog friends! In her temporary home, it seemed as if the horrors of Franny’s past were long gone. She was truly coming into her own. And before long, someone special saw Franny’s profile online. For some time, James W. had been looking for the right dog to join the home he shared with his girlfriend Alexandra. When he spotted Franny online, he knew there was something special about her. 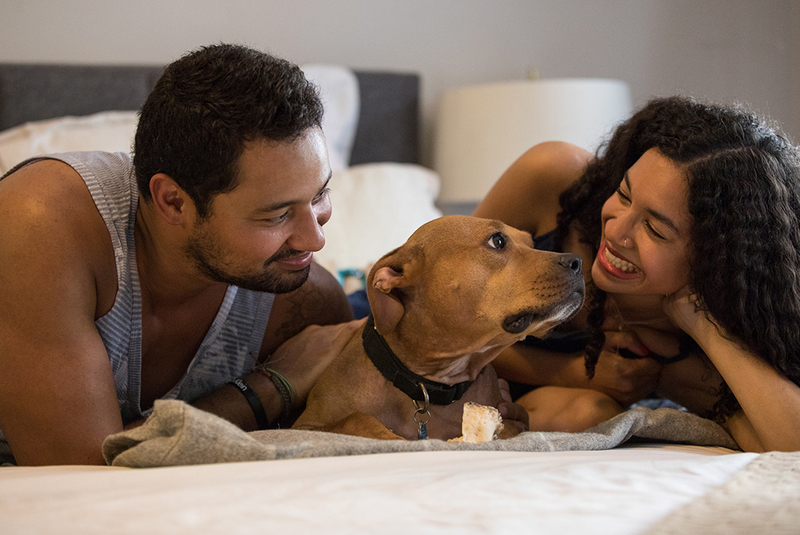 James and Alexandra set up an initial meeting in Franny’s foster home, and then set up a secondary meeting to introduce their resident dog to Franny as well. After all was said and done, James knew Franny was the one, and the couple took her home after their second meeting. 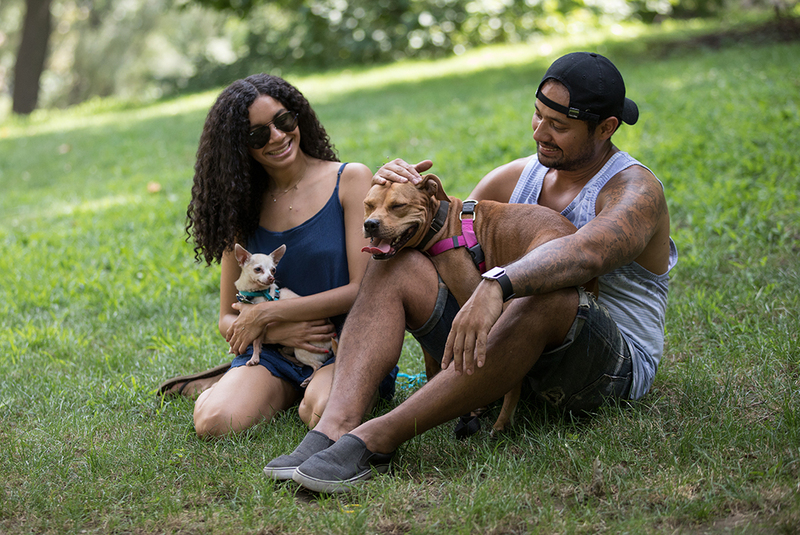 For James and Alexandra, Franny’s background in dogfighting wasn’t even a factor in their decision to adopt her. For the couple, there was no question that they’d found their newest family member. And for Franny, James and Alexandra gave her something she’d never truly known—a fresh start at a real life and a loving home. Once Franny stepped into her new home, she knew she was where she was meant to be. According to James, she made herself right at home. “Within the first few minutes she was on the couch, she was on the bed,” he says with a laugh. James adds that while Franny was very well-behaved and took quickly to the new rules of her home, he felt like the biggest adjustment for the sweet dog was her new neighborhood. In the city, Franny had to adjust to a lot more people, noises and the occasional pigeon or rodent out on the street. 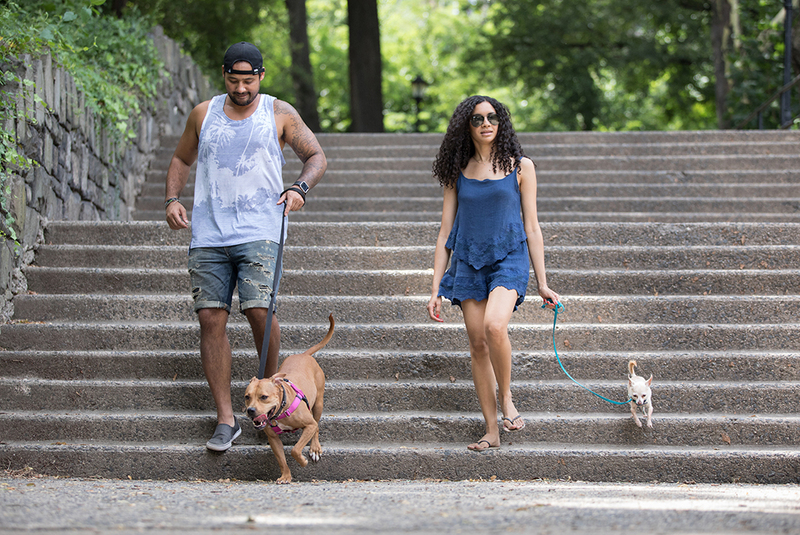 But, like most things, Franny took this in stride, and put her best paw forward as she adapted to life as a city dog. And with her new mom and dad by her side, she could take on anything that came her way. While Franny may have needed some time to adjust to the city, her shy nature soon began to dissipate and she began to shine as a social butterfly. 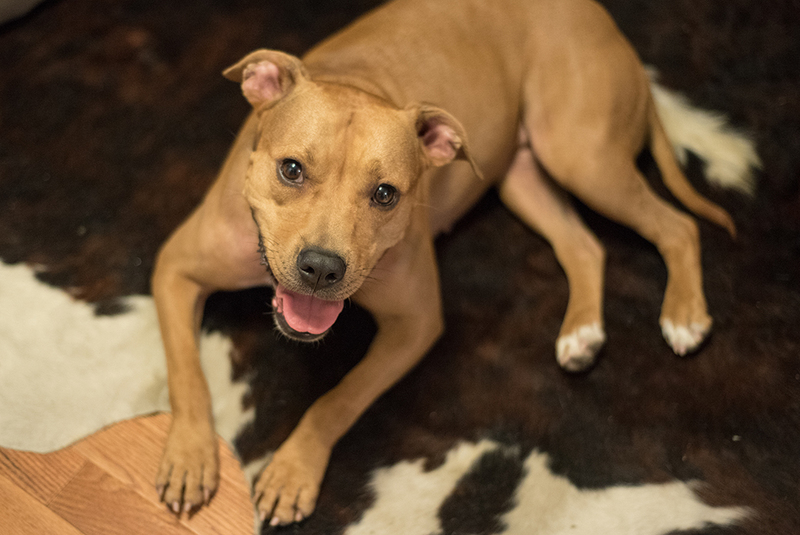 In her new life, Franny is soaking up every minute of fun and showing everyone just how sweet and loving she is. This sweet-natured, social gal is a far cry from the scared survivor we once met. 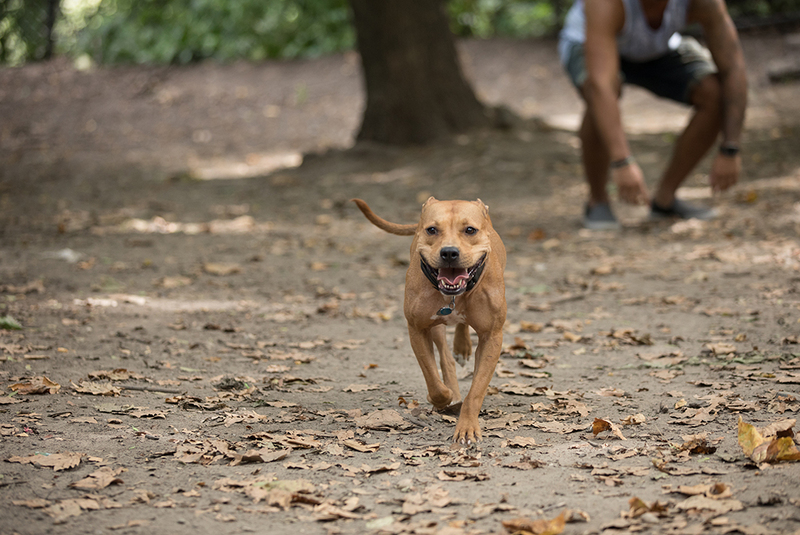 Seeing Franny run through the dog park, and play with other dogs, it’s hard to imagine that her life is anything but happy. Her pet parents love everything about her, including her signature grin, where she shows them all of her teeth. And James thinks it’s important to remember that there’s always hope that dogs can recover from cruelty. Though Franny’s story ends happily, there are still countless victims like her waiting for their happy endings. As we prepare to honor National Dogfighting Awareness Day on April 8, we hope that you will help us spread awareness and fight for more victims as they journey toward new lives. 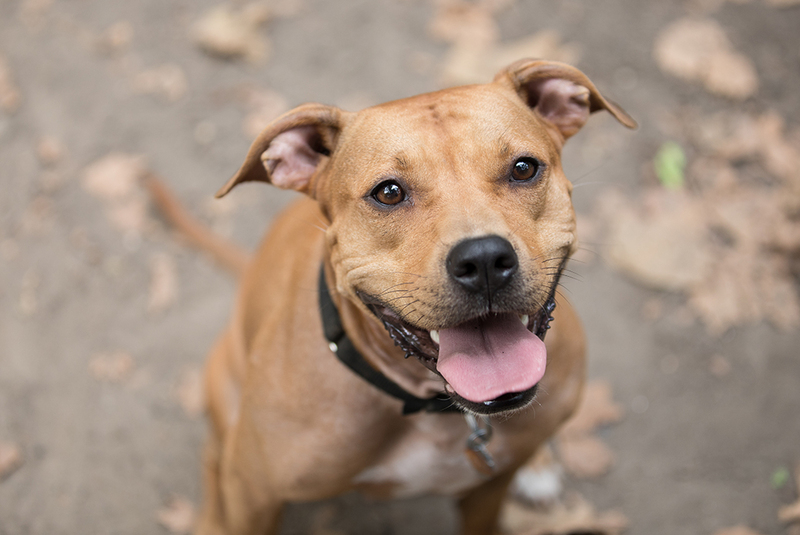 By signing the Heart act petition today, you can help dogfighting victims like Franny find loving homes faster as they move through the legal process.